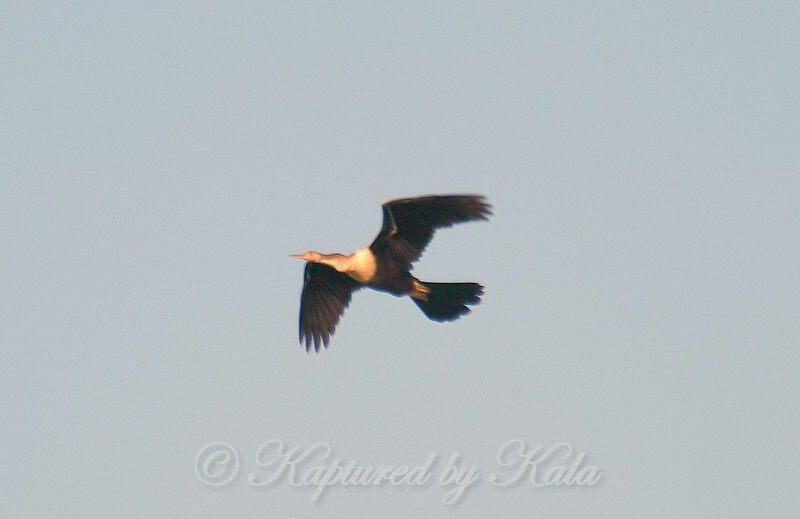 While I was looking at the anhinga perched way out in the bay, I looked up & saw a 2nd one flying high in the sky. I have never seen 2 of them at the lake at the same time. This one was quite high so the photos are heavily cropped.